Origin provides a data analysis and graphing workspace for scientists and engineers. Multi-sheet workbooks, publication-quality graphics and standardised analysis tools provide a tightly integrated workspace for you to import data, create and annotate graphs, explore and analyse data, and publish your work. 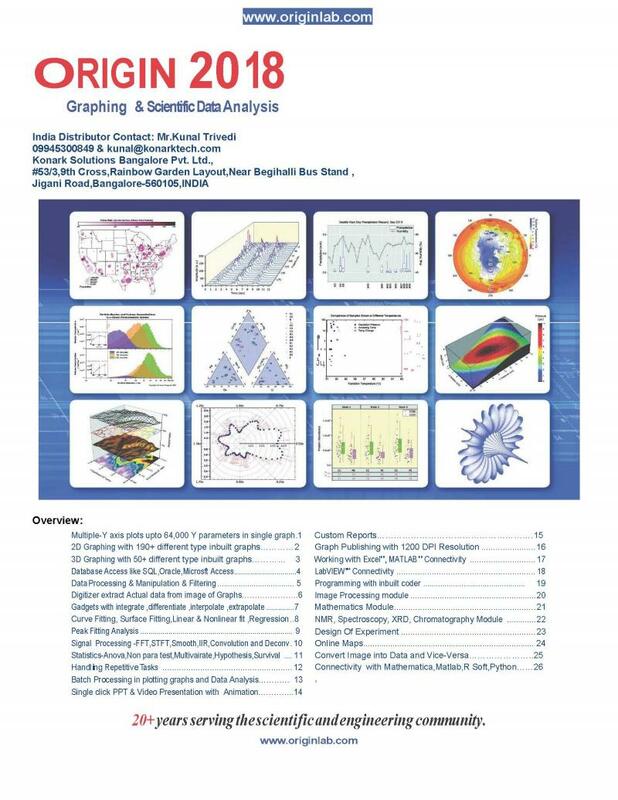 To ensure that Origin meets your data analysis requirements, intuitive tools for advanced statistics, regression, nonlinear curve fitting, signal processing, image processing and peak analysis are built-in.